We often think of protected areas as pristine places that sustain rare and interesting species. It’s often true that an area is given protected status because it contains some natural value, like rare species, but what is frequently overlooked is the cost of sustaining those natural values over time. The survival of those rare and interesting species, for example, often depends on ongoing human management. Activities such as prescribed burning, invasive species control, and patrolling for potential threats can be crucial for supporting the conservation benefit of protected areas. Yet, these activities all incur an expense, and the costs of managing protected areas over the long term can be substantial. One organization that has a proactive approach to planning for long-term management costs is the Tasmanian Land Conservancy (TLC). 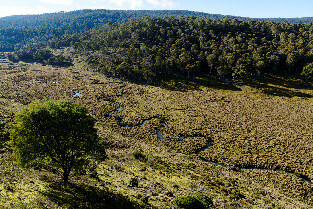 The TLC has an objective to protect representative Tasmanian landscapes (such as the Five Rivers Reserve pictured on the right) in perpetuity. They have acknowledged that an ‘in perpetuity’ ideal requires an ability to abate threats and support species persistence in landscapes that have been fragmented by agriculture and forestry. 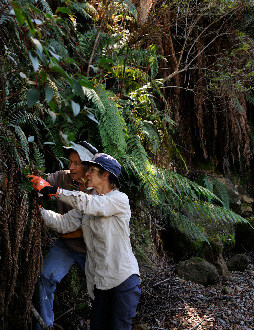 Active management (including activities such as weed removal, see picture below) of these protected areas is therefore a necessity to ensure that desired conservation objectives are achieved. TLC has established a dedicated endowment that will cover operating expenses and enable the organization to focus its attention on conservation and management as opposed to fundraising. We sought to understand the approach TLC took to establish this fund and whether it was transferable to other protected area projects. One of the challenges in planning for future management costs is determining what type of management is needed, both now and in the future, and how that cost will change through time. The TLC based their estimates on previous expenditures. All aspects of protected area management, including staff time and administrative overheads, were used to project the annual costs of management for each protected area. However, past investment may not represent the ideal levels of expenditure. In response, TLC has implemented a detailed program to monitor the effectiveness of management. 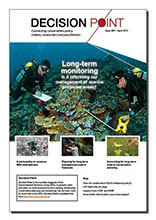 A long term conservation management and monitoring program is a critical component of their system and is overseen by a separate independent conservation council. This way, they can adapt management activities (and update cost estimates) if conservation objectives are not being achieved. Meanwhile, the cost of managing new protected areas is estimated by extrapolating from similar sites based on site level features such as size and community types as well as by using historic information provided by previous land owners and satellite imagery. Once the likely annual expenditure for a site has been determined, enough money needs to be invested to provide this amount of income for the site every year. The TLC attains that goal by investing twenty times the annual cost of managing each site. This amount would pay for managing all the protected areas if there was a 5% return on the investment. However, they also want the amount of money available for managing the site to increase each year because the cost of a given management action is likely to be greater in the future due to inflation. The TLC fund is held by a professional financial management service and currently provides a return of 7-8% per year. This is adequate to cover the management costs as well as price increases over time as estimated by the Consumer Price Index. Once a target amount for the endowment has been identified, the next challenge is actually securing the money. In general it is easier to fund projects that are clearly valued by the general public. For instance, raising money for projects that protect charismatic species that people know and care about, such as protecting a forest of stunning, large trees, is easier than finding donors for a project protecting grasslands or spiders. Funding management costs is a similar problem because it often is not obvious to the public that management of protected areas is necessary. The TLC contends that raising funds for a management endowment relies on educating potential donors about how protected area management is a legitimate cause that relates to the donor’s values. To this end, TLC has established endowments that allow donors to contribute to the fund and provide a conservation legacy in the name of a loved one. In the current fund, about 20% of the contributions are from named individual contributions, with the remainder coming from bequests, TLC raised funds, and several small and one large corporate endowment. The growth strategy for the capital fund is not from investment itself but from donations and bequests and other income not already budgeted. The TLC fund for management, as of 2014, contains about AU$9 million with a target value of $12 million by 2017. This amount should be adequate to cover all the basic operating expenses (management plus overhead) for the 13 TLC protected areas covering a little over 13,000 hectares. There is a strategy in place to allow for adaptive modification of the target amount as new protected areas are acquired. The current instructions for the financial management company is to withdraw one percent of the fund per quarter and deposit it into the TLC’s general operations account. This simplifies the assessment of whether adequate return is being generated because they can just compare fund income with general operating expenses. TLC also has a private land conservation strategy that includes implementation of protective covenants as well as a land purchase, protection, and resale program, but the management of these temporary acquisitions is funded from different sources and not related to the endowment fund. 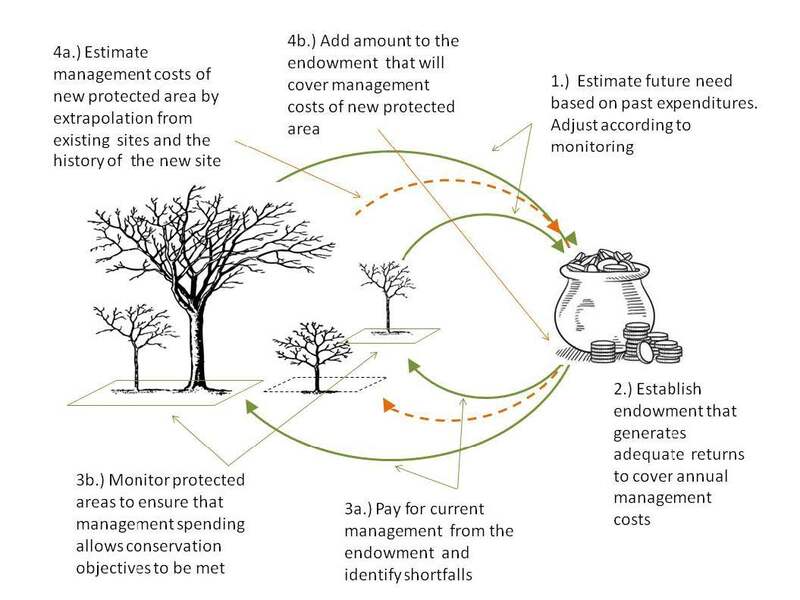 Figure 1: The Tasmanian Land Conservancy strategy for establishing and maintaining a management endowment fund. Estimate costs: Carefully estimate current annual management costs for each protected area, including staff time, materials, and overheads. Use existing knowledge, extrapolation from similar protected areas, and expert opinion to generate the best possible estimate of optimal management needs. Establish an endowment: Establish an endowment that has sufficient principle and return to provide enough income to cover the annual expenses for each protected area while adjusting for inflation. This may involve new fundraising strategies to convince donors that such a fund is valuable. Establish a process that takes into account change: Provide a mechanism for adjusting the fund for risk and for changes in management cost estimates over time. TLC indentifies shortfalls in spending and monitors for effectiveness of current actions but other mechanisms are also possible. Make sure ongoing management is covered: When a new protected area is added to the network, also add an amount to the fund that will generate adequate returns for its annual estimated management. These recommendations are an example of how one conservation organization has approached the critical task of long term organizational sustainability and protected areas management into perpetuity. TLC has taken the proactive approach of establishing a capital fund to allow the protected areas to provide their conservation benefits into the future without having to find funds annually from other sources. The long term is a strange place. Value-of-information analysis can help to resolve this trade-off by evaluating how much management performance could improve if new information was gained. How do conservation NGOs influence policy?